This wall clock is both baroque and elegant and mixes wood with cloth in a play of delicate rose windows. The natural yellow wood of the face of this original wall clock shows a nice turquoise cloth through the openwork patterns. 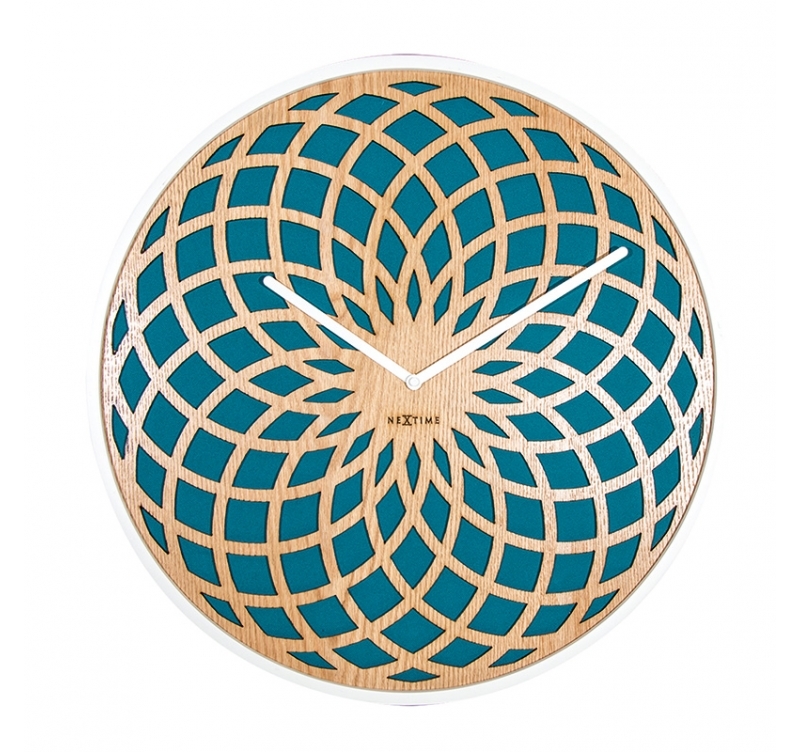 The dimensions of this wood wall clock are 35 cm in diameter. 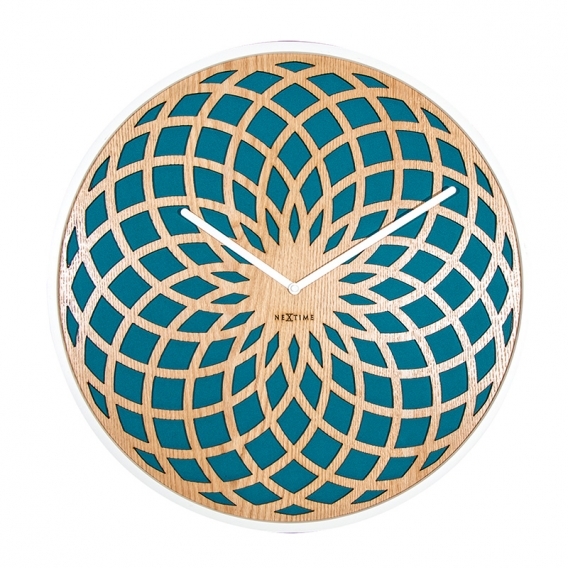 Like a delicate and elegant stain glass rose window, this very nice wood wall clock plays on contrasts while mixing the natural blondness of the wood with the deep turquoise of its face. 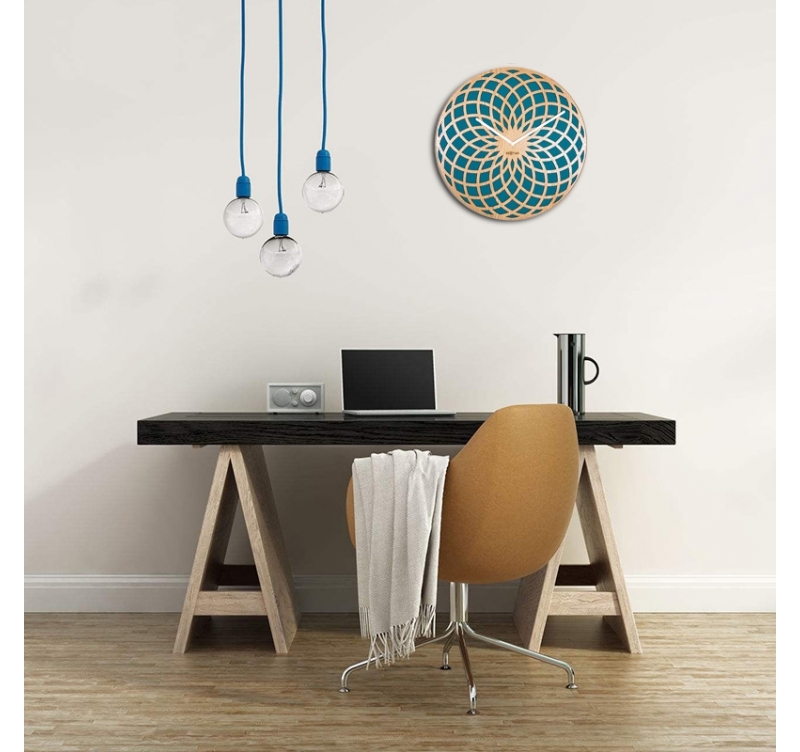 The roundness of your original wall clock will bring a deco touch to your interior. It will be as nice to look at in your living room as in your entrance hall or bedroom. If you have chosen a cosy and feminine atmosphere, this decorative clock will be the final touch for of your walls.